This Saturday, Noam will celebrate his first major American holiday: Halloween. We've got the candy. We've got the costume. And we're almost ready for the big show. Jason and I decided to do a family costume theme this year, so both of us, Noam and the dogs are all involved. We started with the options for baby, chose one we loved and went from there. And I cannot wait to see it all come together. And since Halloween is just a few days away (and, honestly, because I don't have the mental capacity for any longer, more involved posts due to a major case of sleep deprivation caused by reverse cycling/growth spurt/sleep regression (your guess is as good as mine)), I've put together a list of some of my favorite baby costumes. This is why people decide to have babies, right? To dress them up? Right. Yes. 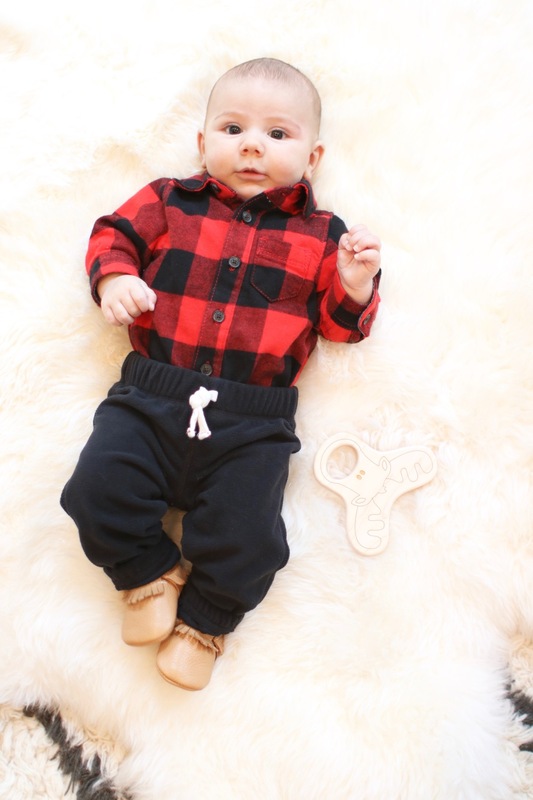 By the way, the above picture is from deciding to dress Noam up like a lumberjack. For fun. Because I'm #thatmom. Mini Martian. Because babies are basically aliens during their 9 month gestation. Let's call a spade a spade. Love Bug. I'm not sure if they had marriage equality in mind when they designed this costume, but let's say they did. Cute costume and compassionate message. Astronaut. That baby is outta this world. (Apologies for the pun, I couldn't help it.) This might be my favorite. A little baby dressed like a marshmallow? Yes, please. Owl. One of Noam's favorite toys is this colorful owl, so I'd be remiss if I didn't include this option. Kangaroo. A little mama / joey combo. While it's far too early to think about babies with babies, animal babies are okay, right?